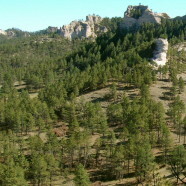 The Nebraska National Forest is a United States National Forest located in the U.S. state of Nebraska. The total area of the national forest is 141,864 acres. The national forest comprises two ranger districts.